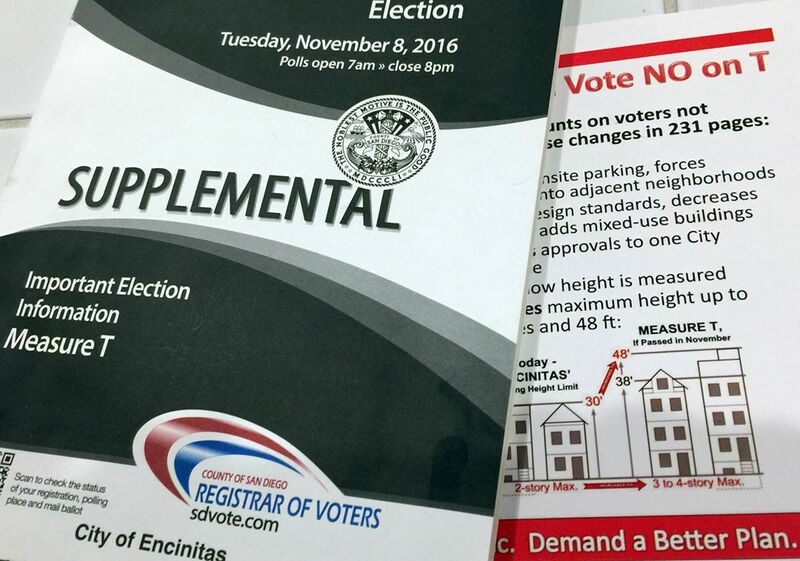 11/20/16: After Measure T, What’s Next? Our most pressing issue at City Hall is the ongoing struggle over the plan for future housing in Encinitas. With the voters’ rejection of Measure T, the city will find itself back in court in a few short weeks when the election results are certified. Based on several emails I’ve received, I think there’s a misconception among some that Measure T’s failure means that the voters have rejected increased development and therefore we won’t have to accommodate more housing in Encinitas. State housing laws remain the same – every city has to provide the zoning for future housing growth. We currently need to accommodate about 1,100 units of future housing, and in the upcoming year we’ll be assigned even more housing units for the next housing cycle. With the failure of Measure T, the two existing lawsuits against the city (one from the Building Industry Association and one from a local developer) will be revived. We need to have a plan. The best path forward is for the city to be proactive in developing an alternate plan based on Measure T that could garner community and state regulator approval. Given the time and money we put into developing Measure T, I don’t believe it’s even remotely likely that a court would allow the city to go back to the drawing board and start anew. The existing lawsuits mean we don’t have the luxury of time anymore. If we want to have an argument against having Measure T imposed on us outright, we’ll need to work together to come up with a community supported modification of Measure T. Otherwise we won’t have much to offer in terms of alternate paths toward compliance. We will be holding public meetings to gather community input on the most important improvements to Measure T. Specifically, I’d like us to explore whether we could get approval from state housing regulators for a plan that requires a higher percentage of affordable housing, has a smaller number of total units, reduces the ultimate height limit and removes the City Council’s ability to delegate crucial decisions to an unelected planning director. Council Member Tony Kranz and I volunteered to serve on a subcommittee to explore the path forward, and it was approved unanimously by the Council. There is certainly no guarantee that we’ll be able to speedily transcend this legal and regulatory quagmire, but we owe it to residents to give it our best shot. 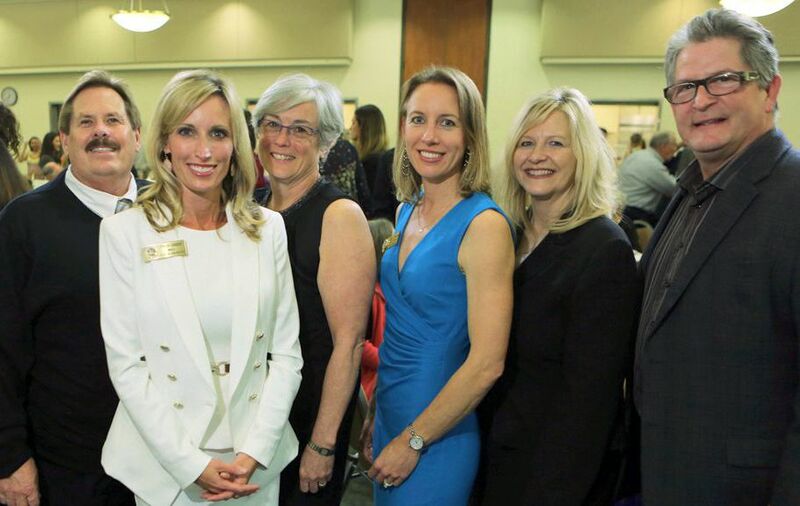 The current Encinitas City Council and City Manager attended our State of the City event earlier this year. From left to right, Council Member Mark Muir, Mayor Kristin Gaspar, Deputy Mayor Lisa Shaffer, me, City Manager Karen Brust, and Council Member Tony Kranz. This week was the last regular City Council meeting for the current Council. The vast majority of our meetings over the last two years have seen the five of us working together respectfully, amicably and with mutual high regard. I feel fortunate that my colleagues are professional, mature and tend toward collaboration. This is a group of five that I will miss, and I’d like to specifically acknowledge our two colleagues who are leaving. Mayor Kristin Gaspar has a true gift for smooth, positive meeting management. She’s a master at juggling the myriad details and cross-currents of any public meeting, and doing it with grace and a smile. Speaking as your Mayor-elect, I know it will be a hard act to follow. Kristin is currently still locked in a very close race for County Supervisor, with over 200,000 provisional and mail ballots yet to be counted. Deputy Mayor Lisa Shaffer is irreplaceable, and I will dearly miss her. Lisa’s analytic abilities, disciplined mind and unfailing commitment to hard work have had a tremendous positive impact on Encinitas. After four years in public office, Lisa is looking forward to not serving on the City Council, with its undeniable difficulties. She has yet to share any particular plan for her post-City Council life, but Lisa is always looking for ways to improve things and I have no doubt she’ll continue with challenging but deeply rewarding community-based work in some capacity. The City Council doesn’t meet again until Tuesday, December 13, when the new Council will be sworn in. All are welcome for the celebration! That evening, we’ll also decide whether to pursue an appointment to fill the two years remaining on my four-year term, or go to a special election. Our first meeting with official business is the next day, Wednesday, December 14th. Happy Thanksgiving to you and yours! I hope you enjoy the warmth and good cheer of family and friends. 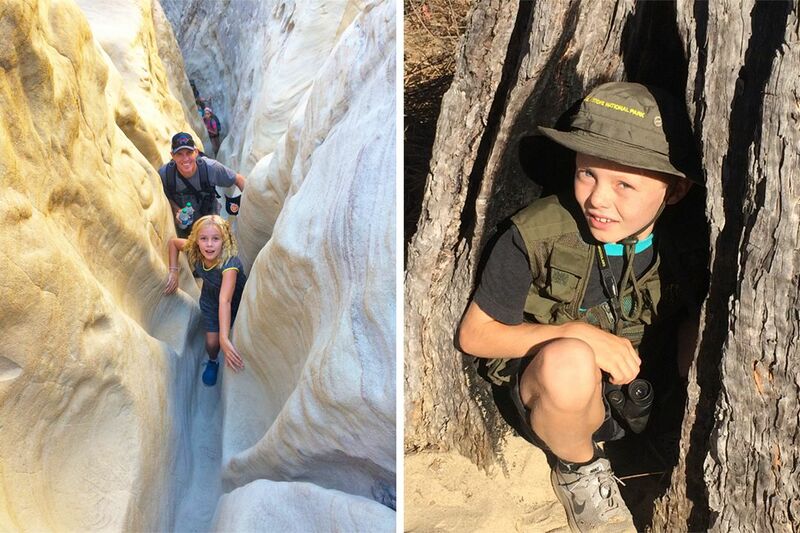 The Blakespear family recently enjoyed a hike in the San Elijo Lagoon with our son Oliver’s Cub Scout troop. It’s remarkable that we have a slot canyon — Annie’s Canyon Trail — so close to home. No need to travel to Zion National Park in Utah to find these natural wonders.